Tired of the same old Irish Stew for St. Patrick’s Day? 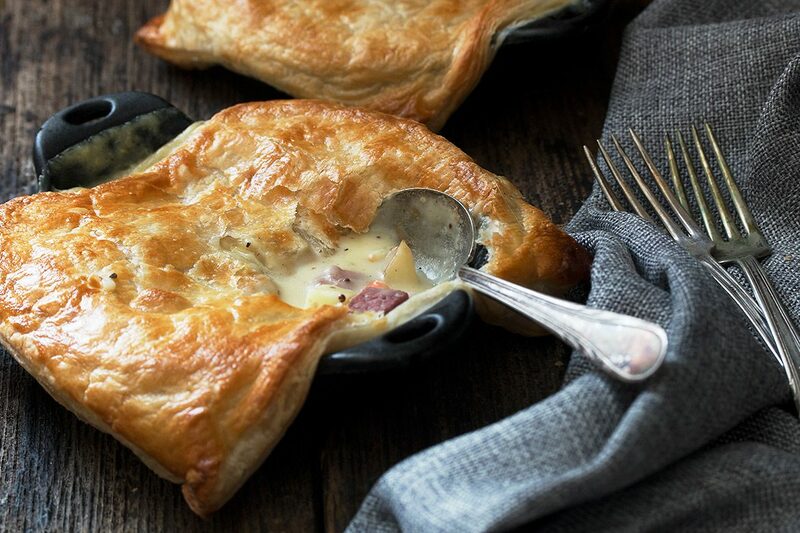 Then give these Corned Beef and Cabbage Pot Pies a try! Made easy with store-bought puff pastry topping. I’m always looking for new and different things to cook up for St. Patrick’s Day and this year, I’ve decided to turn classic corned beef and cabbage into pot pies. These are super easy to make, as they are topped with handy, store-bought puff pastry. Inside the pies are potatoes, carrots and sliced cabbage. And of course, corned beef. You’ll need to start with cooked corned beef here. I picked up a pre-brined corned beef brisket and cooked it up earlier in the day. Stove-top: Place brisket into a large, heavy-bottomed Dutch oven or pot. Cover with water. Bring to a boil, then reduce heat to medium low and simmer, covered, for 2 1/2 – 3 1/2 hours, or until tender, topping up water if necessary. 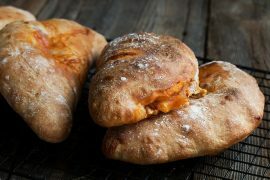 From my one cooked brisket, I had enough for 2 meals – these corned beef pot pies and these delicious Reuben Sandwiches! Be sure to season your filling well with salt and pepper, for best flavour. As notes in the recipe, you can make the filling ahead and refrigerate, then top and bake the pot pies later. Be sure your vegetables are cooked through from simmering on the stove-top, as they won’t be in the oven long enough to cook much further. I made 3 pies as shown. Using 2 sheets of puff pastry, I was able to cut two 7-inch squares for 2 of the 3, but didn’t have enough pastry for a 3rd. Instead, I took the puff pastry that was left and cut it into small squares and scattered them over the top. It worked a charm and no waste! I used these mini cast iron round bakers for my pies. They are the perfect size for individual servings! 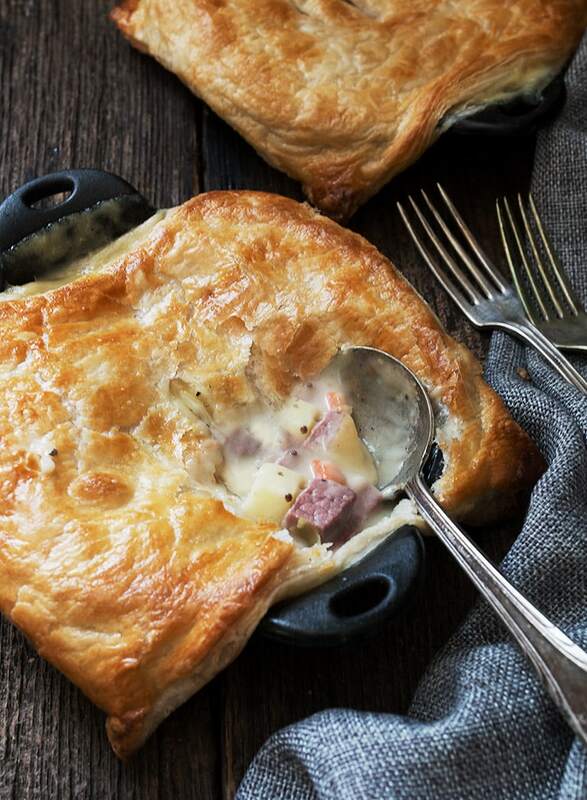 Delicious corned beef and cabbage, in pot pie form! 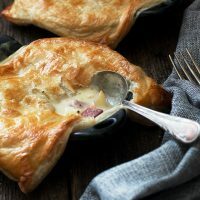 Starts with cooked corned beef and store-bought puff pastry, so easy and a great use for your leftover corned beef. You can make the filling ahead and refrigerate. In a large Dutch oven or pot, melt butter over medium heat. Add potatoes, carrot and cabbage and cook, stirring, for about 5 minutes. Add flour and cook, stirring, for 1 more minute. Add chicken broth, milk, mustard, thyme leaves and salt and pepper. Stir to combine. Bring mixture to a boil, then reduce heat to simmer. Simmer 15-20 minutes, or until vegetables are tender. Stir in corned beef and cheese an cook, stirring until cheese has melted. Taste and adjust seasoning as necessary. Remove from heat and allow to cool 15-20 minutes. You don't want to place the puff pastry on hot filling. *You can make ahead to this point. Refrigerate and bake off with the puff pastry topping later. Pies may take an extra few minutes in the oven as they are starting from cold. If necessary, loosely cover the puff pastry with foil during the last few minutes of baking, to avoid over-browning. Preheat oven to 425F and prepare a baking dish/skillet (or individual dishes/skillets). Place on a baking sheet and spoon filling in. Allow to stand to cool further while you prepare the puff pastry. Cut puff pastry sheets to fit your baking dish or dishes. Cut several slits in the middle to allow steam to vent. Combine egg with water and brush top(s) of puff pastry pieces. 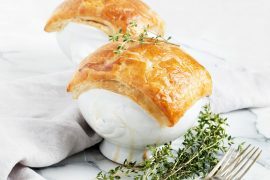 When filling has cooled sufficiently, place puff pastry pieces on top and bake in preheated oven for about 20 minutes, or until puff pastry is quite golden and filling is bubbling. Allow to stand 5 minutes before eating. A delicious potato and cabbage soup. 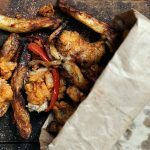 The popular Irish take-out bag to make at home! 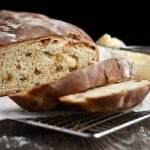 A lovely tea bread, with raisins and actual tea in the bread. 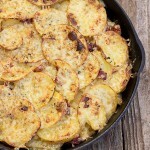 Potatoes and cheese. How can that ever be bad?! So glad you enjoyed it Sisusue :) Thanks! Love this idea Jenn, perfect for this coming weekend! Now I know how I want to celebrate St. Patrick’s! These look amazing along with looking like they come from some gourmet little food shop. This is brilliant! I love the blanket of puff pastry just coddling all those delicious flavors! LOVE! I love the flexibility of preparing the filling ahead of time and assembling just before cooking in the oven. Who would turn down puff pastry:)? This is GENIUS Jennifer! I’m such a sucker for anything in cast iron and puff pastry is one of my fave things to work with probably because of all the buttery goodness, lol. 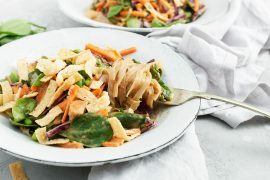 Love this recipe!!! 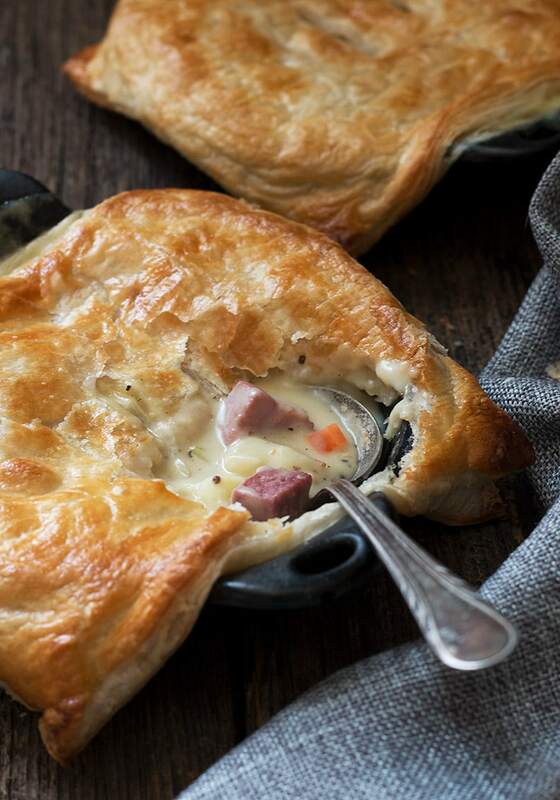 These pot pies are just brilliant, Jennifer!!! I seriously love everything about these! From the corned beef and cabbage filling to the flakey puff pastry top, these are just AMAZING!!! While they are perfect for St. Patty’s, I could definitely eat these EVERY day of the year! Cheers! I don’t think this recipe could get any better. 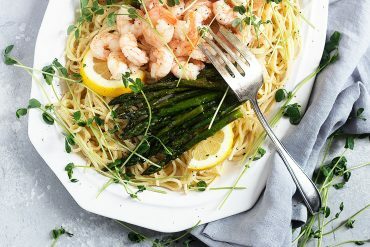 Amazing comfort food that my husband would flip over! That creamy sauce looks fantastic. Brilliant way to celebrate all things Irish! What an awesome idea Jennifer. I’m a total puff pastry lover, so this is a winner for St. Patrick’s Day! So much better than just plain corned beef and cabbage! 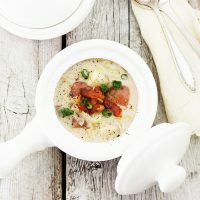 We always have corned beef left over and these is a great idea on how to use it. Love it!